Today, I randomly started thinking about the upcoming Catching Fire movie, and started really anticipating it. I decided to jot down some of the scenes and moments I am looking forward to the most (assuming they all make it in the movie), and was a little surprised by how long the list grew. It made me pretty excited about it all; is it November yet?! (Actually, I don’t want it to be November yet. I need the warmth of spring and summer first). WARNING: Do not read this if you have not read Catching Fire. Seriously, DON’T. 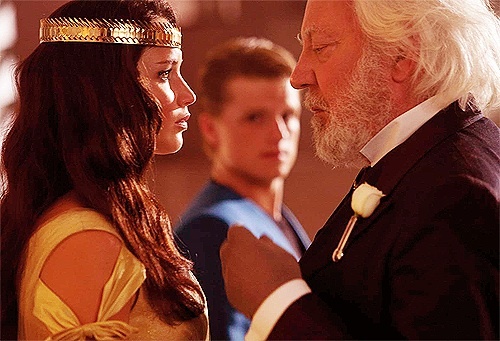 At a social event at the Capitol, Plutarch Heavensbee makes a point to show Katniss his custom-made watch. She doesn’t really seem to get it, but it will hit her later that he was, in fact, giving her a very important hint as to how he designed the arena. Once Katniss and the other tributes understanding the working of the arena, they are able to use this to their benefit to help them escape it. I think Phillip Seymour Hoffman is a great actor in that he always creeps me out, and I am hoping this time I will get the opposite vibe from him as he does his best to relay a message to Katniss that he is on her side. This is so low on my list mostly because it’s going to break my heart into a thousand pieces. 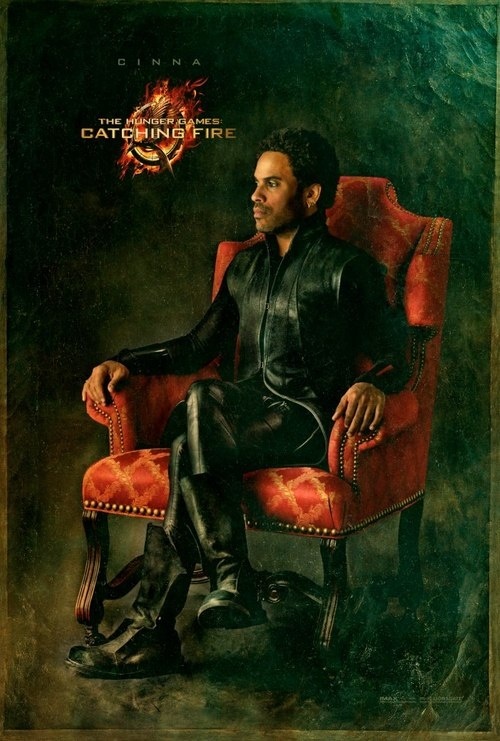 Even when I saw the promotional picture for Cinna I immediately thought of his fate in this movie, and how much it is going to hurt. I love how much Cinna cares for Katniss and believes in her and in the revolution, and that he is willing to put his life on the line for it. I know watching him being taken away is going to be so haunting. 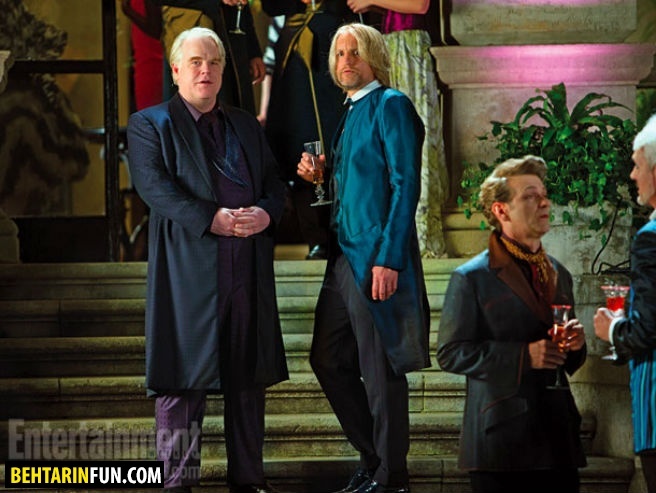 I looking forward to a few moments between Haymitch and Katniss, but I am particularly anticipating when they get drunk together, and they promise one another that they will do everything they can to bring Peeta out of the games alive. I also look forward to seeing how their relationship continues to grow after the first movie. So obviously this is very broad, but I wanted to encompass everything with The Quarter Quell from the announcement of what the rules for the Quarter Quell will be, to the Reaping, to the actual games where Katniss has to learn which tributes to trust. Of course the announcement is a pivotal part of the story because when Katniss learns she is going back in the arena, she immediately goes to run and hide, which we see is a pattern she will continue as the story progresses, especially in Mockingjay. She suffers from PTSD and no one can help her (except Peeta, she’ll come to realize). 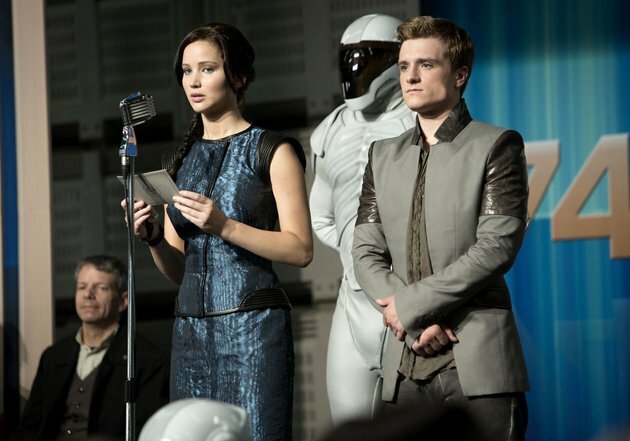 It will also be interesting to see the new arena and new tributes, of course. 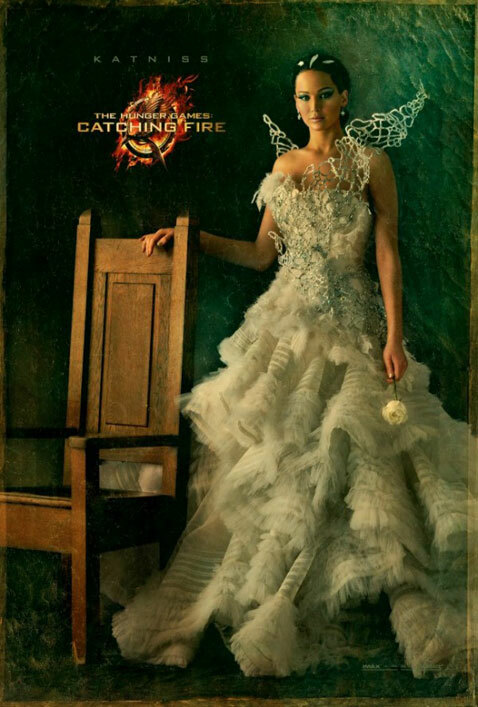 The white wedding version of the mockinjay dress looks pretty good, I hope the effects for the black mockingjay dress prove to be better than the terrible CGI flames we got for the last movie. What can be said about Finnick? 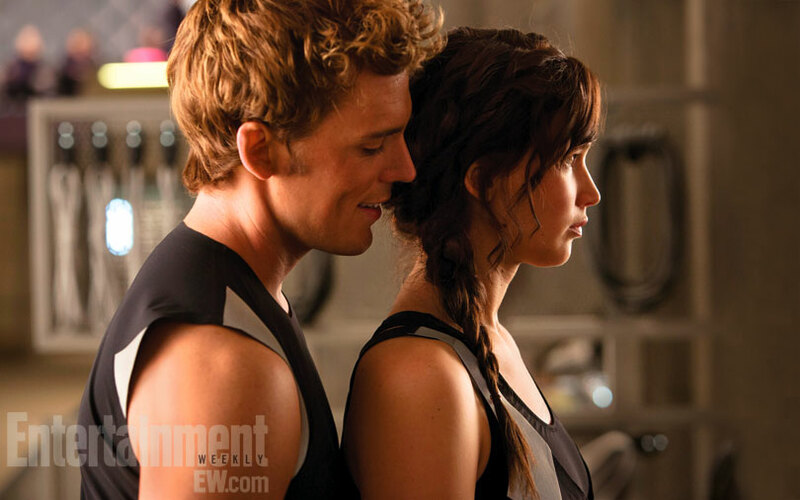 It all begins when he seductively asks Katniss if she wants a sugar cube, and she has no idea how to respond. I definitely looking forward to this scene and their interaction in the arena. Katniss: He offered me sugar and wanted to know all my secrets. / Peeta: Ugh. Not really. / Katniss: Really. I’ll tell you more when my skin stops crawling. This list includes: the rooftop scene, how Peeta helps Katniss through her nightmares, and of course the beach scene, where Peeta gives Katniss his locket and she kisses him for real. And that’s only some of what I’m anticipating! 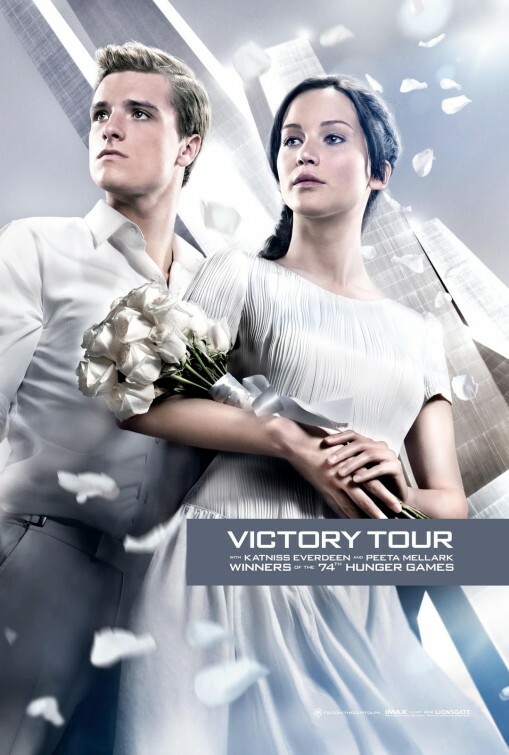 What are you looking forward to in the Catching Fire movie? This entry was posted in Movies, Top 10 and tagged books, catching fire, movies, the hunger games, top10. Bookmark the permalink. I know, I hate that it’s so far away! The proposal scene IS in the movie. There’s an interview with Josh Hutcherson where he talks about filming the scene and the pants they had him wearing were so tight they split right down the crotch when he kneels down. Of course, I’m sure THAT part won’t be in the movie! Ha ha, funny! I’m glad it’s in the movie!